It was lunchtime. I was trying to mix all the ingredients in the claypot when I turned around…. 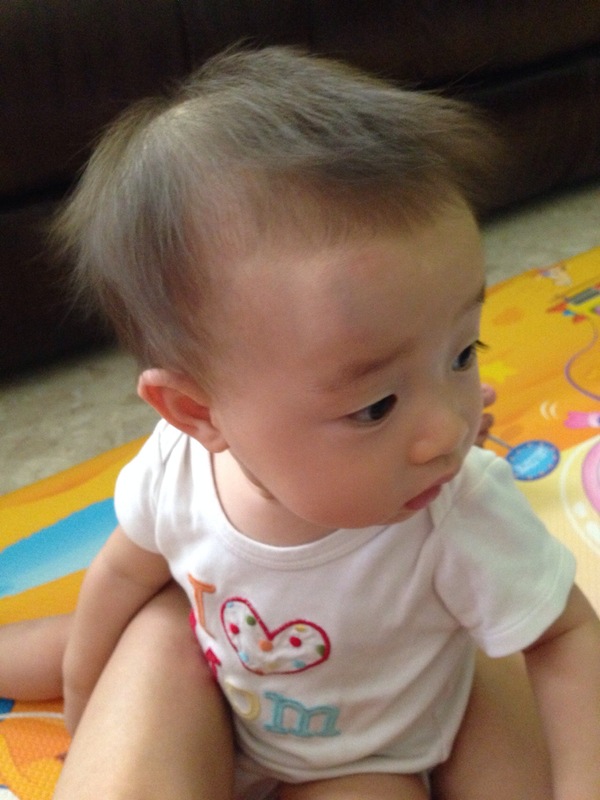 In time to see my 小小宝贝 hurtle head down from the high chair. He hit his head on the cement floor with a loud thud and food flew everywhere from his full mouth. I screamed so loudly that the cooks ran out from the restaurant kitchen. He was inert when I picked him up. Then he bawled his lungs out. My first thought was,”damn!! Head concussion!! 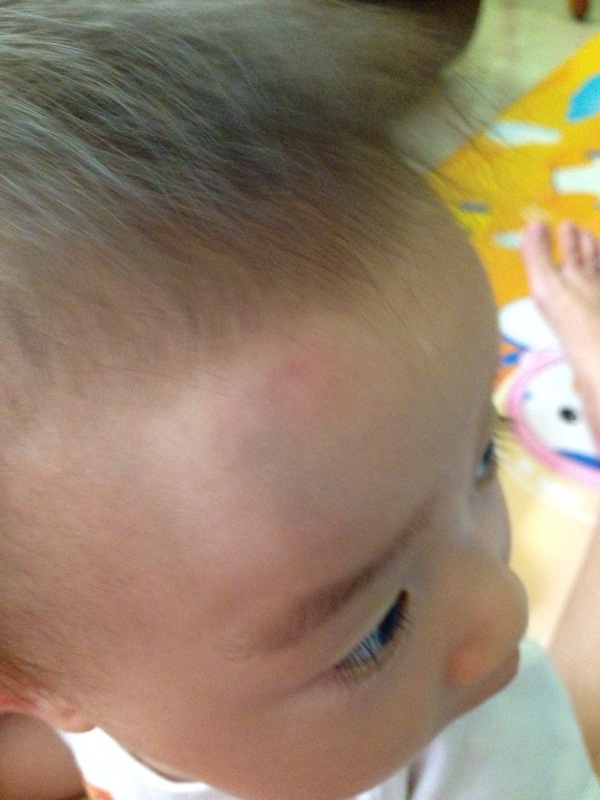 !” It didn’t help that there was a huge swelling on his forehead. It freaked me out. And he refused to stop crying. The waiter literally ran to me when I requested for an ice bag. I wrapped it in one of his spare romper and applied it to his head. Checked for other injuries. None. It was only the huge egg on his head. His face didn’t turn pale or blue. Checked. No liquid or blood from his ears or nose. Checked. Eyes looked normal to me. Checked. No vomiting. Checked. Whatever I could check, I did. He finally stopped crying after a long while and fell asleep. That was the longest 30 mins of my life…. Everyone was not in the mood for lunch. I spooned some rice into my mouth. Ok. Enough for me to survive til dinner. Packed everyone home. Bathed him. Got him to nap. He woke up. Co ordinated crawling and body movements. Checked. Able to pick up his blocks and bash them on the mat. Checked. Behaved like normal. Checked. Laughed at his sister’s antics. Checked. A small sigh of relief. Possibility of concussion has diminished. Observation for the next 24 hours. The swelling has gone down a lot at the point when the photo was taken. A close up of his bua luku. 24 hours was over. Thank goodness. Next time I’m going to chain him to the chair. All eyes on him, in case he does a “David Copperfield” on us and wriggles out of captivity. It was one of the longest day in my life!! Online resource for head injuries.